This is a sweet lady who I met while on a ministry trip in Swaziland, Africa. 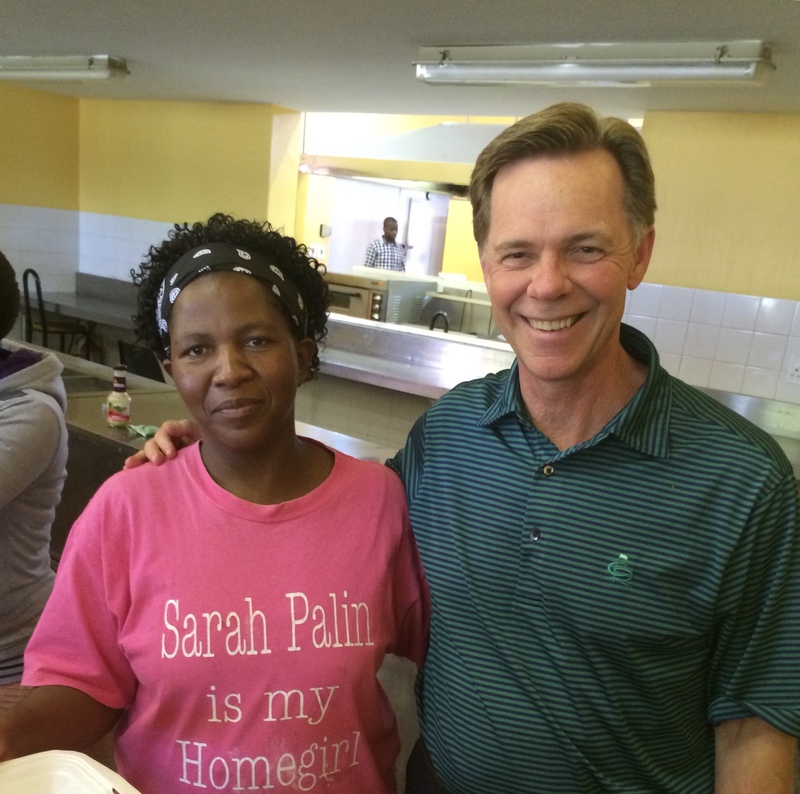 She caught my attention because her pink shirt said, "Sarah Palin is my homegirl". I asked if she knew who Sarah Palin was. She did not but said she picked the shirt because of the color. If you click on the blog link and scroll down you can see the full picture. Rebellion and Deliverance Psalms 106:1-48 This is an amazing Psalm of repentance that exalts the lovingkindness of God to forgive and save. I'm fortunate that I tend to live in a conciousness of grace. It's a good place to be. I didn't grow up in a religion of guilt and legalism requiring penance (voluntary self-punishment inflicted as an outward expression of repentance for having done wrong). So, I always lean toward grace and enjoy the comfort that I'm always forgiven. Perhaps even taking it for granted. 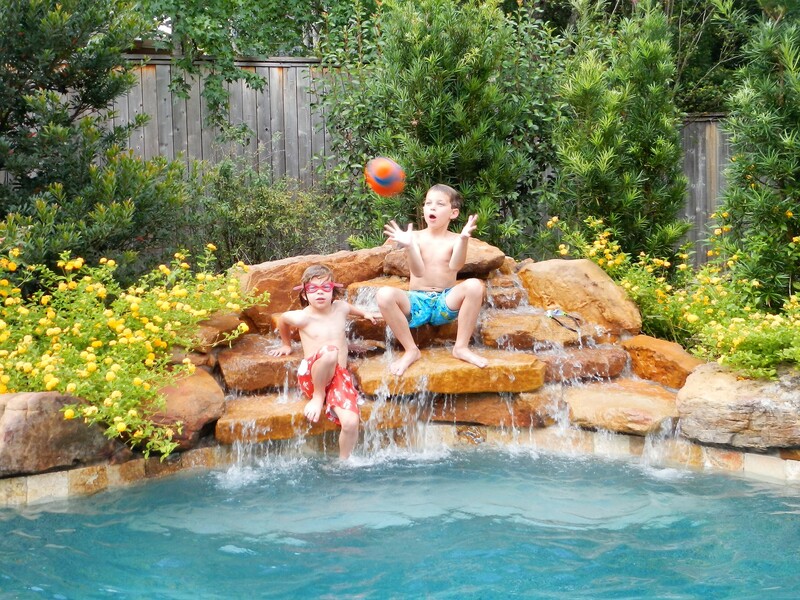 Having grandchildren is simply the BEST! Psalms 34 verse 1 says "I will bless the Lord at all times; His praise shall continually be in my mouth." If I'm honest with myself, I must acknowledge that I am not conscious of God throughout the day. I have this God-conscious adrenaline surge in the morning during my devotions (which I thankfully crave when I awake) but then I go through the day mindful of MY activities and focused on MY desired accomplishments. My activities and accomplishments are not anti-God (mostly) but I am not "mindful" or actively conscious of God most of the time. Conversely, the Psalmist, David, says "I will bless the Lord at ALL TIMES; His praise shall CONTINUALLY be in my mouth". To carry this theme further, this psalm conveys the sense of not just "thinking" about God always but "speaking" about God always. "I will bless" and "His praise shall continually be in my MOUTH". Lord, may your name be always on my mind and may I speak of you often in all situations. 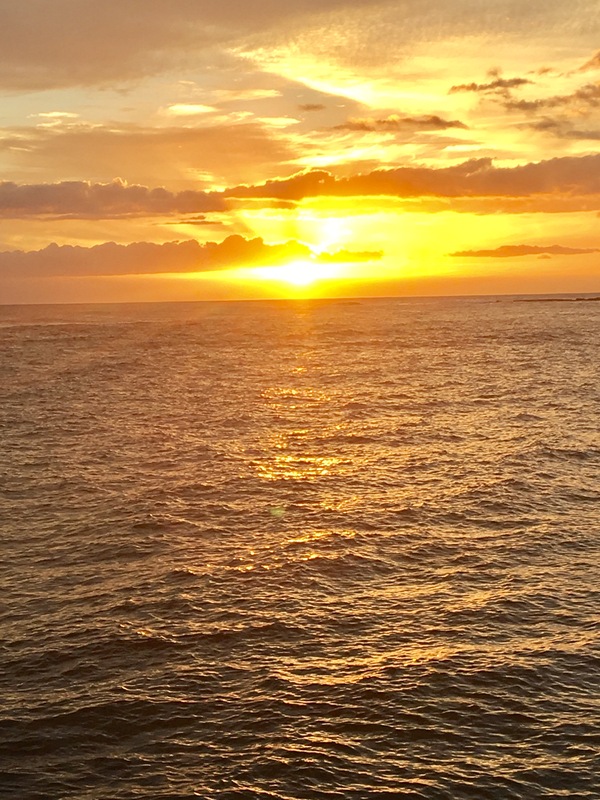 Sunset in Kauai, Hawaii Psalms 139 I’m taking a break from my regular reading and soaking in Psalms 139. God is all knowing. Yes, God obviously knows everything about everything, but here the emphasis of David is that God knows everything about ME. Lord, you not only know every action and every move I make, you know my thoughts, my motives and intentions behind them all. Verse 4 says, "behold, o Lord, YOU KNOW IT ALL." In this Pic I'm with two dear friends whom I work with, Scott and Jalyn, while on an exploratory business trip to Ireland several years ago. 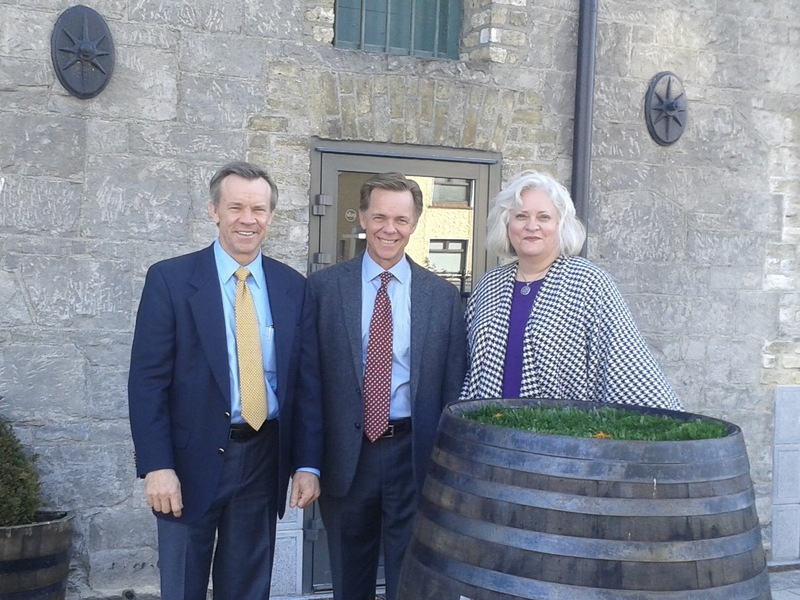 In this picture we were in Tullamore where the city officials were proud to give us a tour of the Tullamore Dew Irish Whiskey distillery. Unfortunately, the business opportunity did not work out and I haven't been back. A beautiful country!